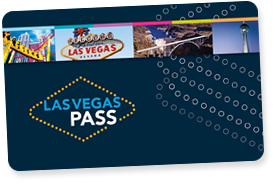 The Las Vegas Pass Review 2019 – Is the Las Vegas Pass Any Good? The Las Vegas Power Pass was a great value pass that offered unlimited access to many of Las Vegas’s best attractions. But the Pass is DEAD. Forget about it and if you are seeing reviews and opinions of the Power Pass Ignore them. The revamped Las Vegas pass Bears almost no resemblance to the Power pass of old. It is now a Super-Charged Beast of a Pass that offers access to some staggering top tier Premium attractions and shows! So let’s take a look and see if the Las Vegas Pass is worth it? SHOWS SHOWS SHOWS! Some of Las Vegas’s Best shows included including KA, Zumanity, And Love By Cirque Du Soleil, Magic Mike, Carrot Top, Mat Franco, and the Blue Man Group! TOURS Grand Canyon South Rim, Hoover Dam, and Horseshoe Bend and Glen Canyon Tour. What is the Las Vegas Pass? The Las Vegas Pass is an all-inclusive pass where you can visit as many attractions from the list as you like with the specified time scale. Either 2, 3 or five days. The Pass includes over 55 of Las Vegas’s best attractions including some great shows and some really good tours out in the surrounding desert. How Much Does the Las Vegas Pass Cost? It’s not Cheap! But the Pass includes a whole heap of top high-end attractions that would set you back a fortune if bought separately. If your Vegas Trip is to be once in a lifetime “all in” trip then this pass includes everything you need to make it a trip you will not forget. But that sort of expense doesn’t come cheap. The Las Vegas Pass Is far and away the MOST expensive pass on the market. Later in the Review, we will break down how this all works out and if these rather High Prices are good value or not. But it’s clear from the off this is an incredibly high-cost pass. Honestly, at this sort of cost, it is hard to really recommend the pass over some of its rivals you have to work REALLY hard to get value and even then some of the “recommended” prices are dubious, again we look at this later. The good news is, The Las Vegas pass Regularly has Sales and discount codes. These are good for up to 20% off and at those sort of Prices, things change somewhat. Keep an eye on our The Las Vegas Pass Promotion Page to See if any codes are available. If not, Consider holding off and waiting until a sale comes live before buying. However, These sales are NEAR perpetual meaning there is almost always a promotion Running. The Pass is a Digital Pass meaning you don’t need a card or anything physical to use it. Simply download the APP and scan your phone right at the attraction to get right in. Tours and a few other attractions must be booked in advance and then you scan your pass on the day when you actually attend the tour. Shows can only be booked the morning of the show you wish to see, which is a bit of an issue that we look at later in the Review. Is the Las Vegas Pass Right For Me? First of all, not everyone suits a pass, and not everyone suits the Las Vegas Pass. So the First question is Do you really want to do the activities listed? Are you the type that just wants to chill by the pool, gamble and get wasted in the evening? Then Repeat. If so a pass may not be a good idea at all. However, if you want more out of your trip than that and want to see the best Las Vegas has to offer and enjoy trips that are packed full with things to see and do then a Pass is a very good way of saving a lot of money. 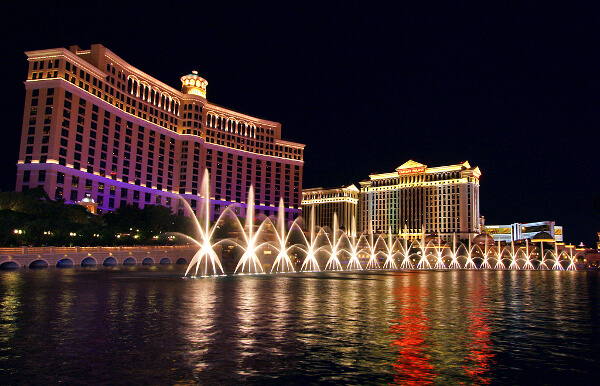 The Las Vegas Pass is best suited to people who really want to See and Do EVERYTHING. The pass has almost endless high-end premium attractions and you will find the main issue packing it all in. It will result in an unforgettable once-in-a-lifetime trip. Other Las Vegas Pass Options? There are several other passes available in Las Vegas and we have reviewed them all. People always vacation in different ways and the different pass options suite some people more than others. Let’s take a quick look at the other options before looking at the attractions included on the Las Vegas Pass. AS you can see there are some far more affordable options but some are not as “premium” as the Las Vegas Pass. Can’t decide which pass is best for you out Comparison page is on the way to help you decide. With over 55 Attractions we can’t possibly go into detail on them all so instead we focus on our favorites and the ones that give the most value in terms of enjoyment. If you already know what attractions are available you can just skip past this section to the next where we ask if the Las Vegas Pass is Good Value and take a look at its real Pros and Cons. The Pass is the first we have seen to include a whole host of top A-list Shows that can all cost $100’s each. Most Vegas passes include some shows but they are normally the slightly less popular shows and while normally good options you would have to miss out or pay separately if you want to see a BIG show. While there are no big stat residencies including with the Las Vegas Pass there are some big, big shows. We have also included some more realistic price options as the pass website lists the most expensive ticket and there is no guarantee you will get the “premium” seats, in fact, you will get what is left! It probably won’t be the cheapest seats as they sell out quite quickly but probably not the best either! Our Favourite Soleil Show ever. KA Is a staggering spectacle. Almost impossible to describe here it’s a staggering feat of theatre. Blending unimaginable Human Feats of Acrobatics with a Giant Robotic Stage and stunning sets. It is scarcely believable what you are seeing. The Theme is Oriental and focuses on a love story endured within a war between two tribes, a kind of Romeo and Juliet story. But told in the most staggering way. Zumanity is more of an acquired taste and for a mature audience, it attempts to explore sensuality and sexuality. It’s a cross between Burlesque and Acrobatic Cirque style feats. It has all the wows and thrills of a Cirque show just a bit sexier! 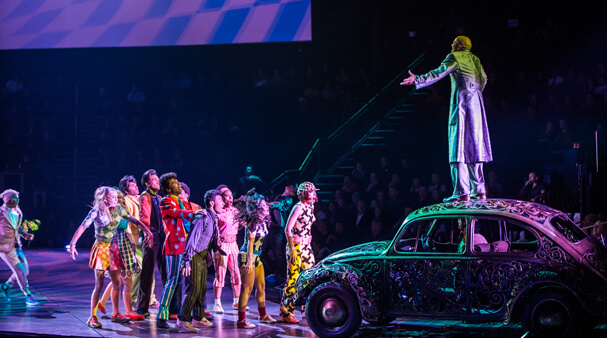 Love is a Beatles tribute in the Style of a Cirque Du Soleil Show. As huge Beatles fans we do like the show but the Beatles story is probably the least fitting for a Cirque show. Still, Jaw-dropping feats of acrobatics set to the best music in the world (just my opinion) makes for a very enjoyable evening. The Blue Man Group is a USA Phenomenon. This hugely popular act has become a firm favorite and must-see show. It is not actually really to our tastes and the do split opinion, but the popularity is undeniable. 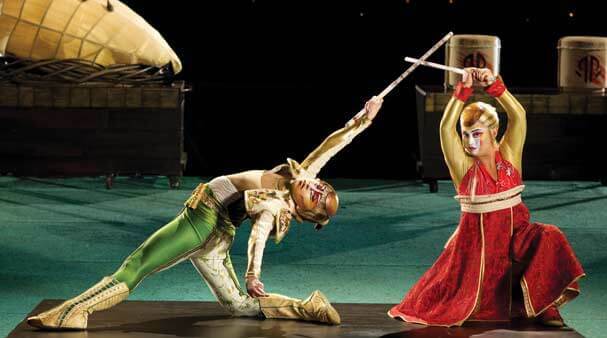 The Act is a blend of percussion, stunning light show and a bit of slapstick thrown in. 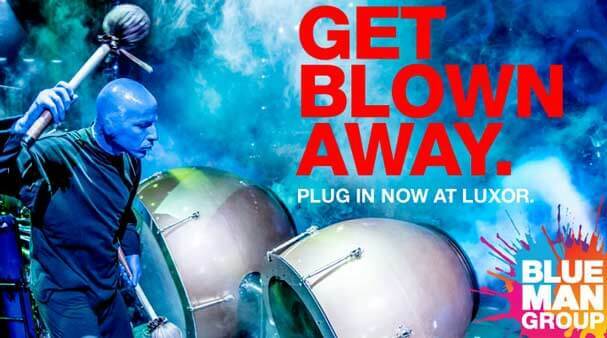 If the Blue Man Group is your thing this is a great addition. One for the Ladies. 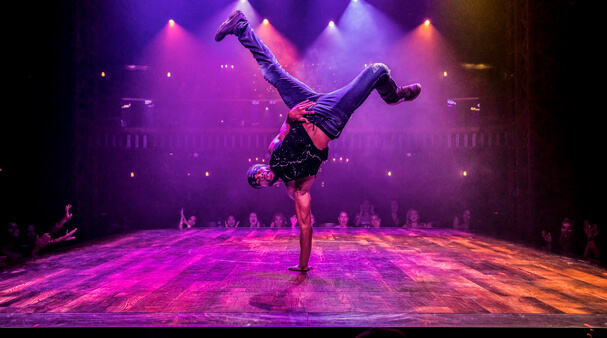 Vegas is all about indulgence and the Magic Mike Live show is certainly that. Don’t expect a sleazy strip show here though these are talented dancers performing their art in an incredible and elaborate stage show. But don’t worry, there are not many clothes and the show pays adequate lip service to the Films. Mat Franco, Winner of America’s Got Talent brought his incredible show to Las Vegas and has taken a town already renowned for fantastic magic shows by storm. Now one of Vegas’s must-see magic shows. As you can see there is an incredible variety of shows on the list and something there for most people. There are also a number of tours available. As much as Vegas is an incredible place it’s setting in the Mojave Desert does encourage you to get out and see some of the incredible natural surroundings within the vicinity of Las Vegas. Most tours of the Grand Canyon take you to the West Rim area. Here the Canyon is narrow, shallow and fairly disappointing for some. To see the REAL Grand canyon you need to head for the South Rim and the Grand Canyon National Park. This tour does just that! 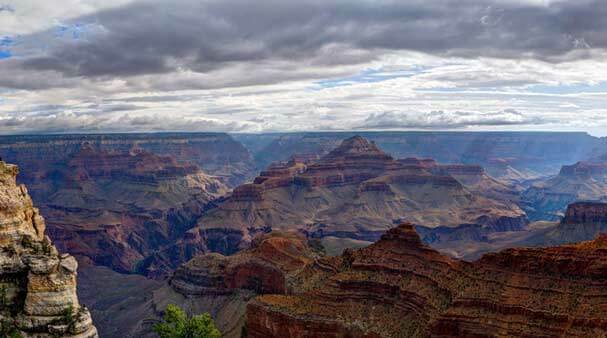 Why then do so many tours head for the west rim? Simple really it’s much closer and the South Rim is a LONG drive from Las Vegas. This Bus tour will set you back 13 HOURS and cost a 5 AM Wake-up call getting you back to your hotel around 7 PM. That’s a long hard day on a Coach. Is it worth it? Hell yes. The Grand Canyon is a true wonder of the world and at the South Rim where you can see the canyon in all it’s glory. It is easily worth a 13-hour bus tour. There are better ways to see the canyon, such as driving yourself and staying over in Tusyan but if you are only able to give one day to visit the canyon this is a great way to see it. Driving there and back in on day is hard work (over 550 Miles!) and the Bus Tour provides breakfast and lunch with no chance of getting lost along the way. IF you are wanting to get out but not cost a full day the Hoover damn is a great choice. This stunning piece of engineering is an American Icon and well worth getting away from the strip for a few hours to see. The Trip has a much gentler wake-up call and should have you back by the pool for midday. 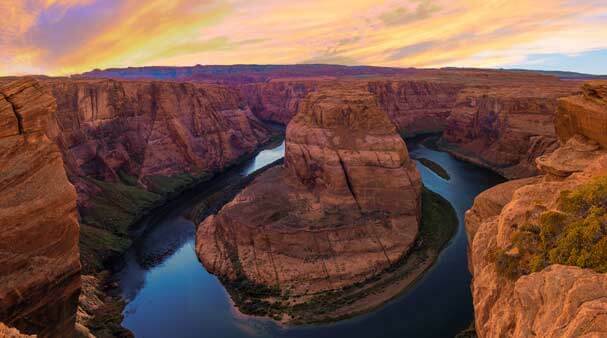 If the Idea of 13 hours on a bus is not enough the Horseshoe Bend and Glen Canyon tour could be the one for you. Over 14 hours and 600miles of travel. It better be worth it! It is. Horseshoe bend is at the upper reaches of the Grand Canyon before it has formed properly and is the result of the Colorado River cutting through the rock. The Stunning bend in the river is the stuff of dream for photographers. It is a piece of natural beauty to rival anything anywhere in the world. They type of place you think isn’t real and the imagining of a Hollywood director. A real gem. Glen Canyon and the Glen Canyon Dam are next. 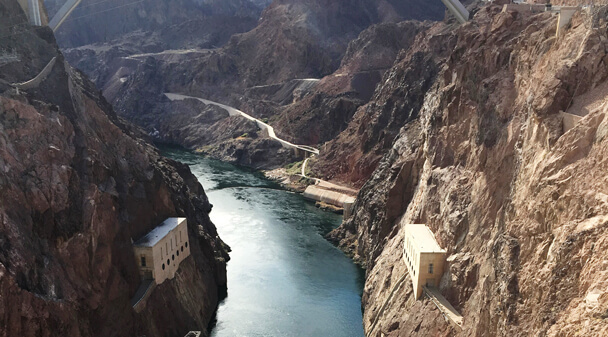 The dam is a worthwhile rival to the Hoover damn but even more dramatic due to the incredible natural beauty of the lake and the canyon where it’s located. Lake Powell is a stunning lake and nearly as big as Lake Mead and is a stunning blue azure color. The narrow Canyon walls really do make this an impressive awe-inspiring location. The Final Location on the tour is Page Arizona. This small town is nothing to write home about but it allows you to upgrade the tour for a visit Antelope Canyon. An absolute MUST SEE! It is not included in the tour but, do not come all this way and not upgrade to visit this absolute natural wonder. It is the type of place you don’t think can exist let alone be visited and the colors and formations of the slot canyons walls defy belief. If you have an Instagram account. You need to visit here!!! It is, of course, a very specialized trip and most my just find this an awfully long day on a bus. And it is no doubt a tough old ride, but they payoffs are staggering. Las Vegas at night is one of the most stunning visual feasts you can imagine. The bright lights and shimmering glass and steel just comes alive once the sun goes down. One of the absolute best ways to witness this from the Air. 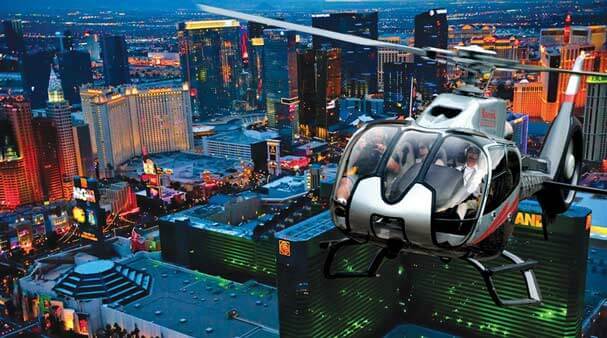 The Nigh time Helicopter Tour is a real once in a lifetime experience as you soar over the strip feeling like a millionaire Movie Star. We can’t think of a more perfect way to spend an evening and anyone using this pass should jump at the chance of seeing Vegas form the air at night. Unless you are scared of flying …then maybe not. Ever dreamed of riding in a real NASCAR? … No? well, this will probably not interest you too much. However, if you have spent your life growing watching and Loving NASCAR then this could be right up your street. It’s not often you get the chance to ride in an actual NASCAR alongside a pro Driver, on a track doing real NASCAR Speeds. Even a Visit to the Raceway is a pretty good experience if you are into racing and there will be cars out on the track regularly to see and hear. But when it’s time for your 3-Laps it will be a truly unforgettable experience. If your other half has always wanted to experience a real NASCAR but the though of spending hours at a race track in the burning sun sounds like hell, maybe don’t le them know about this one? Joking…Sort off. 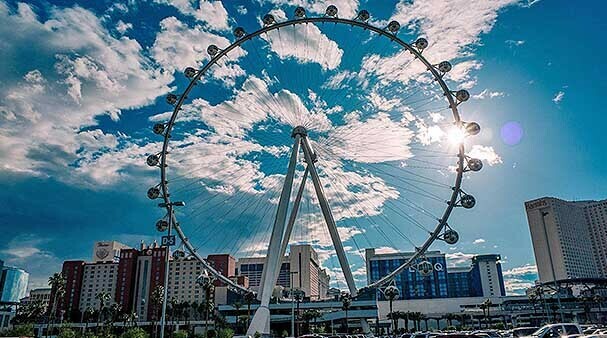 We love Observation wheels and the Highroller is a great one. It is the worlds tallest observation wheel and the View from the top is like nothing in the world. Vegas really is built to be seen from above. It’s a shame the Ticket is only for a day ride and a double shame it’s not a Happy hour Pod too. But guess you can’t have everything and the high roller is definitely one not to be missed. Hop On Hop Off Buses are great fun, Vegas is not the best place to experience these are really they just go up and down the strip so it;s not really a tour. But it’s still handy to have as a way of getting around. On top of this there is a 24-hour monorail pass so travel is covered for most of the life of the pass. If you get a 5-day pass and want to use public transport after this use the Duece. Vegas is the Ultimate Party Destination, and what better way to experience the Stips clubs than with a Limo Party bus, with free Booze on board and a VIP Host to get you into the best clubs on the Strip. Rockstar have been running these club tours for years and offer up a really good experience. These tours are especially suited to people who don’t really know what clubs they want to visit or are a small group or couples as you will meet plenty of new people on the tour. Rockstar Tours get almost 100% 5 Star reviews on TripAdvisor and they do take you to the best clubs (Hyde, 1Oak, The Bank etc) not some low rent dive off the strip. Like the Club Tour only for pool Parties. 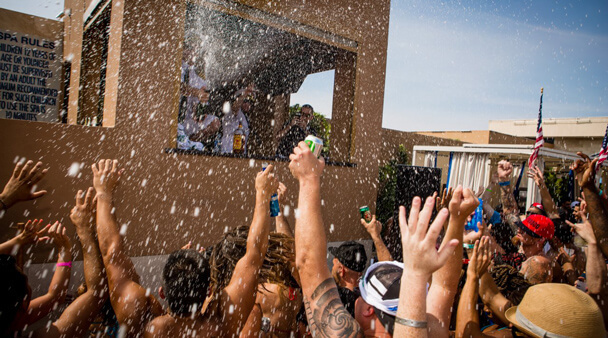 If it’s pool Party season this is a fantastic tour that really gets you a taste for what Vegas Pool Parties are all about. Again it will be a top party (Liquid or Wet Republic) and you get free transportation in the Party Limo. Not one for the faint-hearted. The Voodoo Zipline runs between the hotel Towers at the Rio Hotel and Casino. It seems pretty sedate to begin with but as you head over the drop-off it becomes clear it’s quite a wild ride. With seemingly little to stop you plunging to your doom, you just have to hold on tight and ride it out. It’s a two way trip unlike most Zip lines and is a whole load of fun for those who dare! Oh yes there is more! Is the Las Vegas Pass Good Value? Let us take a look at some Example Itineraries and see how the pass works out. We have taken the Headline Price but Remember you can nearly always get another 20-25% off this! So the Totals are not as stunning as some of the other Pass options. But we have been VERY Bare bones in our itineraries, you could pack a lot more in. We have also done what no other pass Review has done and taken the LOWEST price for a Show ticket. In all the other calculations they have just rehashed the Las Vegas Pass Websites quoted prices. These are not a fair reflection of what you would have paid! It’s hard to ignore the HUGE purchase price of these cards but even with everything skewed against them, they come out saving you loads of cash. It doesn’t take much to make then appear far better value, like a 20% off code or a big sale, or maybe you bag some super seats to your shows. There are also a few things we like about the pass on top of just savings but these could be attributed to any attractions pass. So the Pass has a HUGE roster of really high-quality attractions and the savings are pretty staggering. There are a few other benefits to getting The Las Vegas Pass. These are fairly intangible benefits but they can really make a trip more memorable and special. We use passes everywhere we go and the unseen benefits can really make having a pass in your back pocket (figuratively) worthwhile. On top of the already great savings. Las Vegas trips can be EXPENSIVE. While headline prices can seem super cheap, when you start adding in food costs, gambling expense, buffets, Drinks shopping etc… It all really adds up. Attraction costs can often be overlooked meaning one of two scenarios, you end up doing very little as you can’t afford the extra expense or you blow your budget and run out of money early or return home to a terrifying credit card bill. Buying a Pass allows you to take care of all this up front and not give it a second thought. First-time visitors are not often aware of exactly what is available to do In Las Vegas, they think it’s all drinking and gambling. The list of available attractions can provide a great guide and an inspiration to visitors showing them a whole new side of the City and doing things they would never have considered before when planning a trip. You may even have been inspired as you read through the list of available attractions? Did you know you could visit Antelope canyon or take a ride in a Nascar before seeing it on the Pass? Often some of the things we do on a pass end up our favorite things and we would almost certainly have not bothered without the pass. To Properly experience a place you need a plan. Many people just turn up ad hoc and expect the city to fall into their lap. It won’t. Instead, you will just end up doing and seeing less. 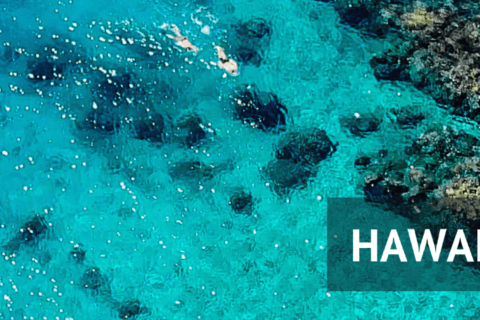 Having a pass offer a great start to build up an itinerary. Knowing what attractions or shows you are going to see is the perfect start. Knowing where you will be on the stip gives you the base to then build out around it. By simply visiting attractions will have you visit different parts of the strips different casino’s and help you really get the best out of the City, while the tours should help you get out and see some of the surrounding area. We always find trips using a Pass are far more varied and in-depth than ad hoc trips with no real plan. That said, rigid itineraries are the stuff of nightmares. Harking back to school trip days with teachers barking orders at you. No one wants that. Having a pass allows you a huge amount of flexibility to chop and change your trip based on mood, weather, simply how much you drank the day before! It’s great to have a plan but things change and with the pass, you can simply alter the plan as you go. It is quite possible to save money by shopping around and getting deals on various shows and attractions. We doubt you will save nearly as much as the Pass if you use the pass wisely. Still, this would be quite a faff and require you to cart a load of tickets and papers around with you. You would also need to stick to a more rigid itinerary. It’s a small thing but using the pass really does simplify things quite a lot. Just turn up, Scan the pass and away you go. The Las Vegas Pass has a really good selection of Day and Night Attractions and shows so you can maximise the pass, using it both day and night. A day checking out the Strip and it’s attractions followed by a show in the evening, or out on the club tour. This way it is really easy to get value from the pass! This advantage is a bit tenuous but what the hell. Walking the strip you WILL be inundated by Time Share Sharks. Every time you pass, “Free Tickets to a show?”. They are very persistent and it can take quite a bit to just walk by ignoring them, which is the only way. Any form of engagement and they have you hooked. But with a pass in your back pocket knowing all your attractions are all sorted, it’s much easier to say “I’m all sorted thanks” and move along. You can even tell them this and they will realize you are not a fish worth catching. First off, and it’s a BIG issue. You cannot Book the Shows in advance. From experience Shows in Vegas do not Sell out every night and there is “normally” availability for the shows on the morning of the show. So in most cases, you will be fine. However, this brings up a couple of other issues. The Headline price for the show and how much you “could” save is a little misleading. Show Tickets are a live market and some seats are better and more expensive than others. The Las Vegas Pass, Website have chosen to List the Most expensive ticket as their “Original Pass” Most Reviews have simply taken them at this face value. We have done it differently and quoted you the lowest price. You will be fairly limited to what seats are available. You are going to get what’s left rather than what you want. The importance of which depends on how much you really want to see any particular show. Which leads us on to our next point. While Availability is likely, especially for the less popular shows it is not guaranteed. If a show is particularly popular (New) or the City is exceptionally busy or you are just unlucky with your timing, you could miss out on a particular show. The importance of this depends on how essential a particular show is to you. If you JUST HAVE to see a particular production it might just pay to book it anyway. If the whole trip will be ruined because you didn’t get to see Magic Mike or your heart is set on seeing the breathtaking KA, or if the Blue Man Group has been on your list for ages, maybe don’t chance it? We can certainly make no promises there will be tickets on any given night and nor can the pass companies. We do say for the less popular shows there is almost always ticket availability and even with the in-demand shows such as Blue Man and Magic Mike, there are normally seats. After all, that is why the productions have agreed to be featured on the Passes, as there are empty seats and they would prefer them filled. But if a particular show is absolutely your heart’s desire we would hate to see you miss it! It’s a shame as a pre-booking system would negate all this negativity and make the pass a truly fantastic option. This is a problem with most passes. It refers to the tenancy to plan or try to cram too much in to try and get the best value out of the pass. There are only so many hours in the day and we only have so much tolerance to charging around visiting attractions. Trying to cram too much in will just lead to disappointment and exhaustion. Time should be spent seeing the City, Checking out the Casinos Gambling (if you like), Relaxing by the pool etc. People sometimes lose sight of this and just want to do as much as possible just to make the pass seem better value. The Pass user our least favorite activation method. Consecutive Calendar Days. This means whatever time you activate the card this counts as you first full day it’s not a 24hour period but the calendar day. So activate a 3-day pass on a Saturday and you will get Saturday, Sunday, and Monday to use the pass. This is fine if you activate at 9:00 AM but if you activate at 5:00 PM then you have lost most of your day. Of course, the onus is on you to only activate early in the day. It is also consecutive days which we don’t like as much as non-consecutive days. You don’t get time off to relax and sit by the pool but must keep visiting attractions for the life of the card. We prefer having activity day interspersed with relaxing days like some passes off. However, no Vegas passes offer this. There are few attractions missing from the line up in Our Opinion. The fantastic Mob Museum, The Bodies Exhibits and the Eifell tower. These are quality and fun attractions that are on most other passes and it’s a shame they are missing. There is still tons to see and do but we do think these are missed opportunity. The Las Vegas Pass is a real heavyweight on the Vegas Pass Scene. It combines so A+ Shows with great tours and some really good attractions. You are going to need to be interested in the High-End attractions to get value from the very high Purchase price. 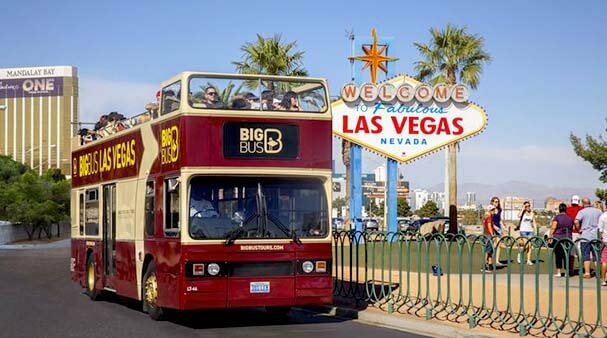 While it is expensive the attractions shows and tours are also very high end and very expensive as well so if you are looking for that all singing all dancing tour the Las Vegas Pass could be right up your street. We do advise hunting out sales and Promo codes however as if you can find 10-20% off that eye-watering Price becomes a lot more swallow-able and the Value goes through the roof! Have you tried the Las Vegas Pass? Did you think you got good value? What did you like about it and what did you find disappointing? Let us know your feedback as the pass is new we have not had a chance to use it in person (YET, The Trip is booked) So your real world feedback would be great. As always if you have any questions Fire away. The Las Vegas Pass is a complex beast so if there is anything you are unsure of please drop us a comment. Next Post:The Las Vegas Sightseeing Pass Review 2019 – Is the Las Vegas Sightseeing Pass Worth it? Yeah it is a very expensive pass but the attractions included are also very high-cost items so the value is excellent, just a question of if you want to spend that much. We also included links to a few other passes that are a bit cheaper. having read so many reviews about the Las Vegas Pass I can authoritatively figure this review out as the best of all… You have really gone to down with the detail and pros and cons of the Pass. We have been thinking hard about whether to get a pass or not but just couldn’t decide to go for it or not. Thanks to your review we have decided to give it a shot. We hope there will be availability for the shows, it is a bit of a worry? We really want to see KA! Thanks for the kind words we understand these passes cost hundreds of dollars so people need to get it right! We totally agree it is a shame you cannot pre-book the tours but if you get to the ticket office early there s almost always availability. Try checking the booking site of the show you fancy and you should see every day there are a good number of tickets available for that day. This is the first time I’ve ever come across an article about the Las Vegas Pass. I’m Danish so if I should ever get the chance to drop by and have my curiosity satisfied about this adventurous place, I know where to find detailed information about it. A good thing that all prices are there, it gives a clear overview of the possibilities. Greetings to Denmark! We are only over the channel in the UK! Hope you get to Vegas soon and can experience the wonder of this crazy city! A very extensive look at the Las Vegas Pass for 2019, and you have added a ton of useful information and tips within this post! I have been to Las Vegas a lot of times over the years but never had I considered investing in such a pass to save money. Based on everything you have expanded on it seems I have been remiss. There really is a huge amount of value if you plan ahead and decide what kinds of activities that you want to experience over the days the pass is valid for. I have paid top dollar for some of the shows you mention! The other passes you mention may work for many people, but based on all the things you can use this Las Vegas Pass for (top quality offers), I would go with this one. There is so much to do in Las Vegas, but some poolside time has to be a part of any trip there for me. For this reason, I will likely try the 3-day version and leave about 4 days (we will normally spend a week there) for other stuff like a bit of gambling and relaxing. I have bookmarked this website and when I purchase the Las Vegas Pass I will do so through your affiliate links. This was really a useful post, you went the extra mile on explaining everything clearly and bottom line, you sold me on the value such a pass can offer to the everyman like me! Thanks so much for your effort putting this together! We absolutely agree, Any vacation or trip should include some downtime and the pools and resorts of Vegas are perfect for this. So we do recommend only getting a pass to cover part of your time in Vegas. So you can see and do things on those days and then spend the remainder kicking back. We too have spent top dollar on attractions in the past and just love the value these passes offer along with the chance to experience things we would not bother with if it was not included on the Pass. We are heading to Vegas soon and we getting so lost in what to see and do there. It’s fantastic to see almost everything we wanted to see all included on this pass! Vegas can be so expensive. I didn’t know these passes even existed so It is great to know we can save so much and have everything in one place. The Pass really does seem perfect for our trip. I never really thought about Vegas as a tourist or sight seeing attraction. I always say it as the place where everyone goes to enjoy the nightlife and clubs. Especially for people in my current age group. It’s awesome to know there is something for me to do considering the nightlife isn’t my thing. I am curious if any of Cris Angels magic shows are available on a Las Vegas pass considering you listed other shows here? One thing about Vegas is it is exactly what you want it to be. There really is something to please anyone in Vegas if you bother to hunt it out. Great nightlife, Great Food, Gambling, Shows, Stunning Scenery nearby. So many people have their own idea of what Vegas is based on film and TV but the reality is it’s just a huge entertainment hub trying to cater to as many people as possible. Thanks for reading, hope you have a great trip!